the setting (always have had a thing for lighthouses), the jeans, the hat, the jacket...just ALL of it! There is something so serene and calming about this bedroom. Makes me want to redecorate mine...again! color combination because hello, blue and gray! 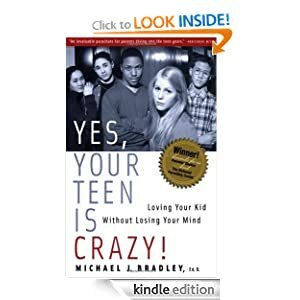 recommend it for parents of teens or soon to be teens! how many years, the words came right back to me and I couldn't help but crank it up and sing along. Oh I need that book especially lately! Amazing how the words to those old songs come back like it was yesterday. Was a great song back in the day too. That Tim Gunn is a pretty savvy guy. That blue and grey combination is so pretty. I also love that bracelet. I used to sit in my bedroom as a teenager and sing along with Bread into my cassette recorder. We made one awesome pairing, let me tell ya! That bracelet is so pretty and that bedroom leaves me feeling very envious that mine doesn't look like it. You could SO link this at Friday Fragments over at Mrs. 4444's place - - - this is EXACTLY what we do for FF's. Click over to my blog and from there you can follow the link to Mrs. 4444's place. We'll LOVE having you join the partay! 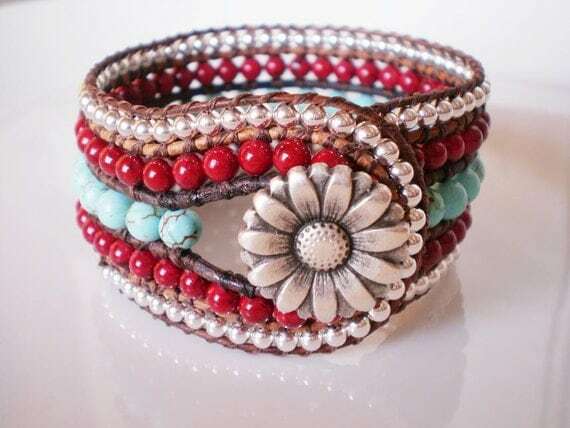 Ever since I was a little girl, I've loved Western jewelry. I think it started because I bought pieces starting at a young age. Now I have TONS! There's this gal on Project Runway who wears it all the time and I have so many similar items to hers, but the ones she has that I don't, I want! We spent one night sitting up next to each other eating room service sandwiches and singing Bread's song, "Aubrey" for a very long time. It's the sort of stuff you do when you are young, unattached and a little crazy. And if my daughter if does this....I will be so pissed off. Reminds me of Friday Fragments - I like! I love the reading quote and the dress/top quote - lol!